On Thursday, October 16, 2008, a press conference was hosted at the PLEA office where numerous media outlets, City politicians, and neighborhood leaders were in attendance. The purpose of this press conference was to announce the partnership of PLEA and PLEA’s attorney Michael Napier with Silent Witness in increasing the reward monies from $5000 to $12,000 in order to assist in bringing to justice the persons responsible for the murder of Melissa Vigil. Several members of police mangement were in attendance to include Asst. 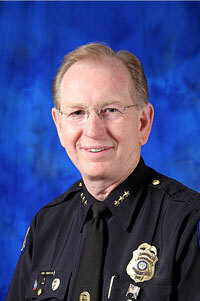 Chief Andy Anderson. Prior to the start of the press conference Chief Anderson took it upon himself to pull PLEA’s public relations consultant aside and confronted her for having the press conference and allowing it to go forward. The consultant is employed by PLEA and performs her duties at PLEA’s direction. PLEA finds it odd that while police management wanted PLEA to cancel the press conference, they were in attendance and actively participated in the press conference. The PLEA board has an obligation to protect its employees and agents from abusive and/or intimidating behavior. Because of this Assistant Chief Andy Anderson is no longer allowed on PLEA property. A formal letter of complaint was forwarded to Deputy City Manager Alton Washington. CLICK HERE to read the Complaint letter sent to Assistant City Manager Alton Washington.